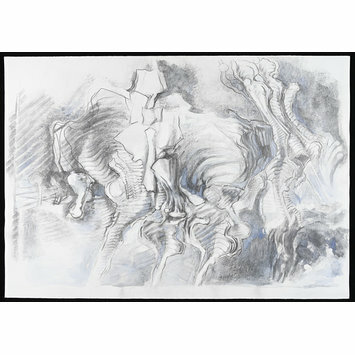 This drawing is part of a series which show the artist's interest in biological forms. He had studied biology at the Universities of Naples, Rome and Zurich, before his emigration to the USA in 1939. 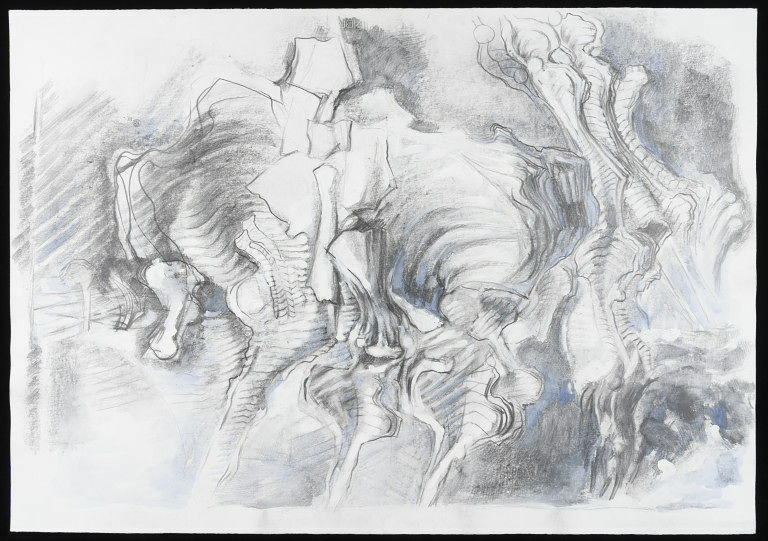 The abstract nature of his paintings and drawings illustrate the turmoil of the 20th century, reflecting that period's mingling of biomorphic and mechanical forms. A large drawing and watercolour of semi-abstract biomorphic forms.